· The Indian sugar industry has produced 115.4 lakh tons upto 31st January, 2014. This is 16.6% less than the sugar produced up to the end of January in the last season when the Indian industry had produced 138.5 lakh tons. A fortnight back, this year’s production was trailing by about 21% as compared to the production upto 15th January, 2013 in the last season. · 509 sugar mills were working as on 31st January 2013, whereas 487 sugar mills are crushing on 31st January, 2014 this season. · 152 sugar mills in Maharashtra have produced 40.75 lakh tons of sugar upto 31st January, 2014 which is about 8 lakh tons lower than last year’s production of 48.5 lakh tons, produced by 166 sugar mills as on 31st January, 2013. The sugar recovery during this season is slightly lower at 10.78% as compared to 10.83% in the last season. It is important to note that 3 sugar mills, 2 in Aurangabad and 1 in Pune zone have closed their operations this sugar season as compared to none which had closed at the end of January last year. · The second largest sugar producer, namely, Uttar Pradesh has produced 27.6 lakh tons upto 31st January, when 119 mills are still under operations as compared to 35.9 lakh tons produced by 121 sugar mills in the last season at the same time. The sugarcane yield across U.P. is reportedly lower by about 6-7% as compared to last year, whereas the sugar recovery is almost similar at 8.86% in comparison to that of last year. · The mills in the State of Karnataka have produced 21.5 lakh tons as compared to 24.3 lakh tons produced upto 31st January last year. Against 53 sugar mills which were crushing at this time in Karnataka last year, 59 sugar mills are crushing this year at the end of January, 2014. 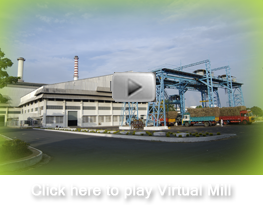 In Karnataka, 1 sugar mill has closed its crushing operation this year whereas in the last sugar season 5 sugar mills were closed their operation during the corresponding time. · The other important sugar producing States like Andhra Pradesh, Gujarat and Tamil Nadu have produced 5.10 lakh tons, 6.10 lakh tons and 4 lakh tons, as compared to 5.67 lakh tons, 6.82 lakh tons and 6.45 lakh tons, respectively, last year. · The lower production as compared to the same period last year is mainly because of late start of the sugar mills across the country, including two largest sugar producers, namely, Maharashtra and Uttar Pradesh. However, as indicated above, this year’s sugar production is quickly reducing the gap of last year’s production. However, it seems that the sugarcane crushing season this year may get slightly extended as compared to that of last year. · Due to depressed sugar prices, which have fallen by almost Rs. 6-8 per kilo as compared to the prices about 14-15 months back, the realization for the sugar mills is substantially lower as compared to the cost of production of sugar. The mills are, therefore, unable to pay the cane price of the farmers on time. It is feared that as the season progresses, the cane price arrears is only expected to go up further. · A rough estimation would put all India cane price arrears at the end of January, 2014 at around Rs. 10,000 crore. · The satellite images of cane area and harvesting at the end of January, 2014 have been procured and the sugarcane availability and sugar production estimates for 2013-14 sugar season is expected to be reviewed and ready and will be published shortly.